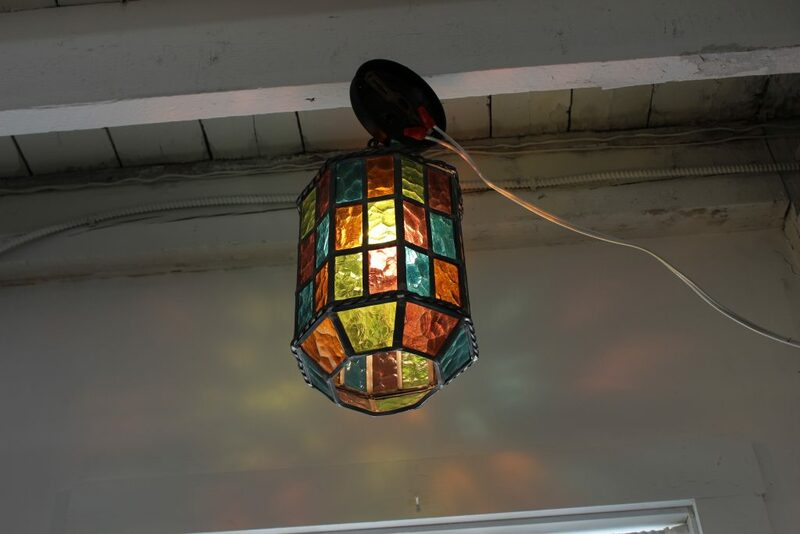 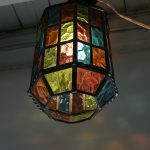 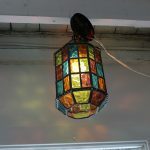 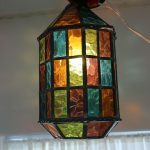 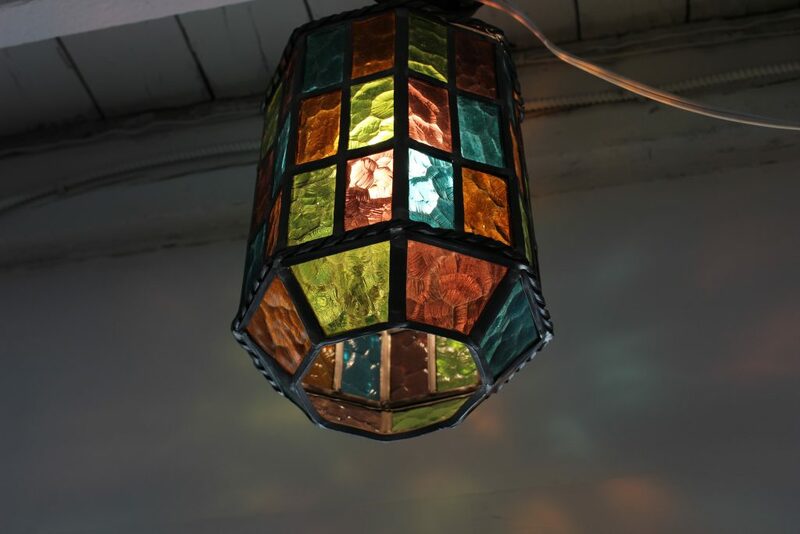 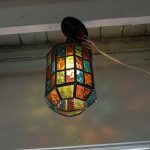 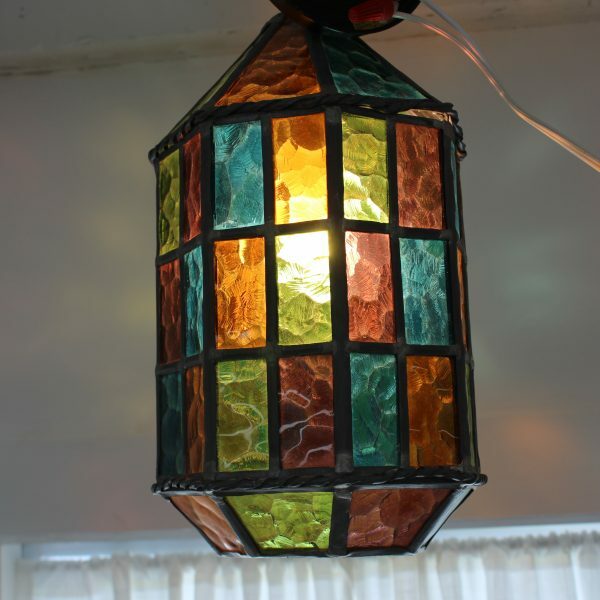 Take a look at this stained glass small pendant light, it comes in great vintage condition. As you know it was usual back in the day that dads work on projects for the home. 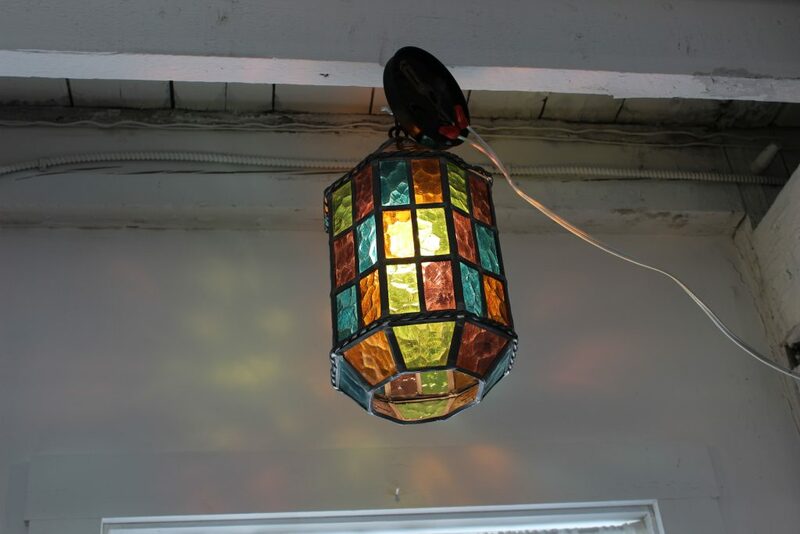 And by the look of this light and a matching one listed separately, it was the case here. 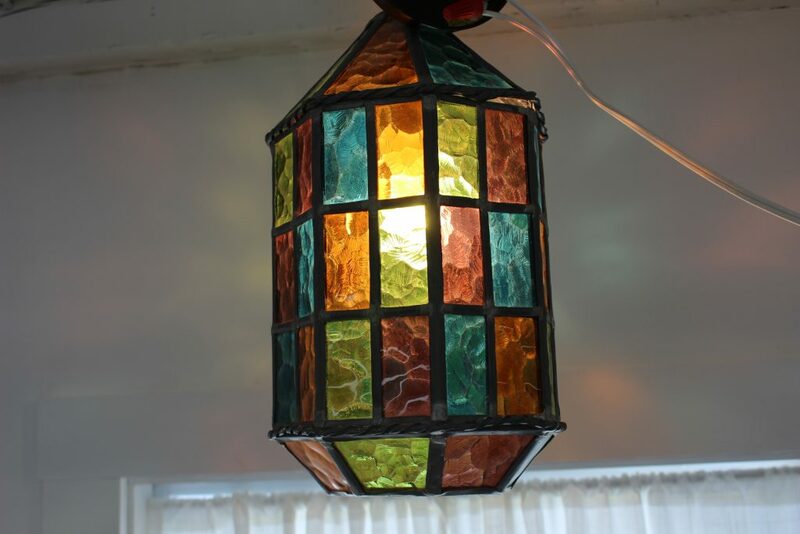 The glass is in great condition and one of the sides at the top has a little bit of separation where the metal banding is. 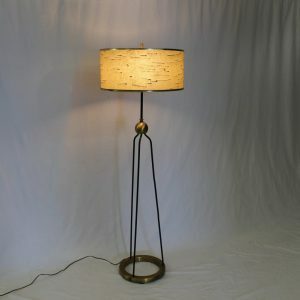 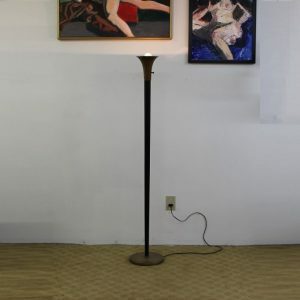 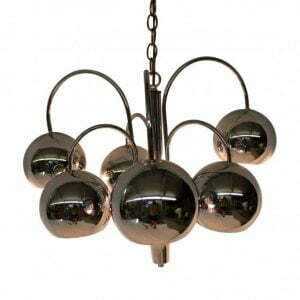 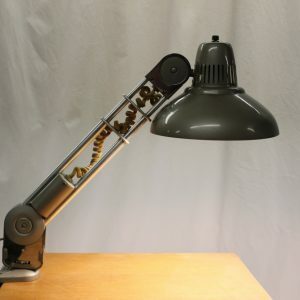 This beautiful light measures 14″ high by 8 1/2″ wide.